To help everyone find his seat. 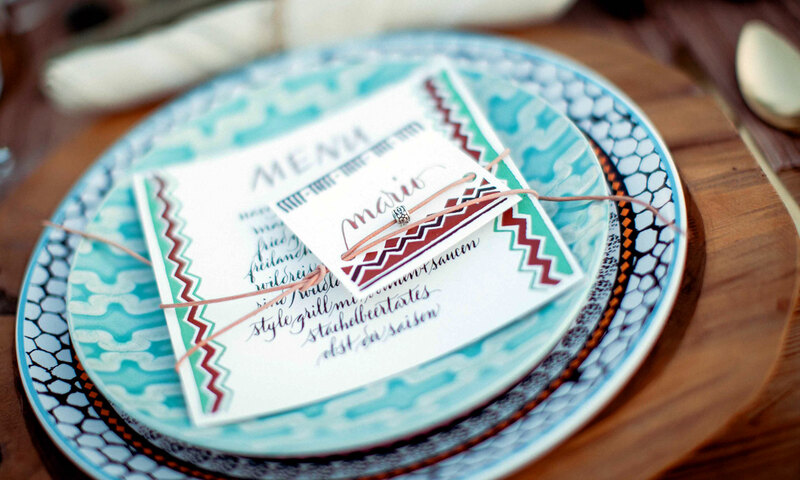 An eye-catcher on every festively decorated table! â€¦ or leather and silver beads. I am happy about creative challenges and like to design details and extras to put your wedding stationery and calligraphy in the best light! 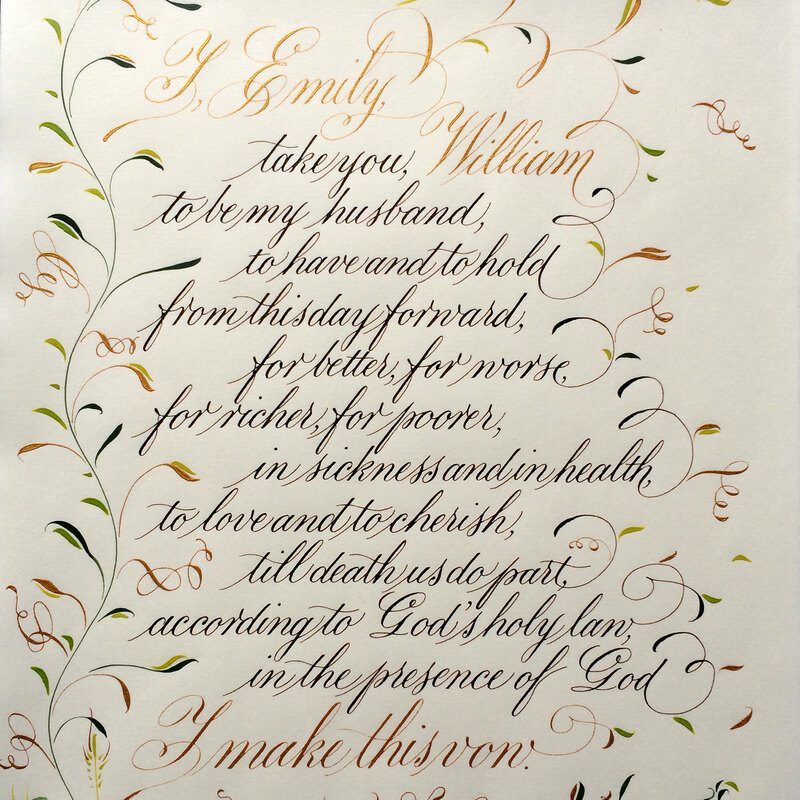 A calligraphed wedding vow is a beautiful and personal gift. Some newly weds like to surprise their husband or wife with it on the Â»Paper AnniversaryÂ« (the first wedding anniversary)! â€¦ youâ€˜ll hopefully find the answers to your questions about how to order calligraphy or or design from me. Iâ€˜ll also answer any mails: . 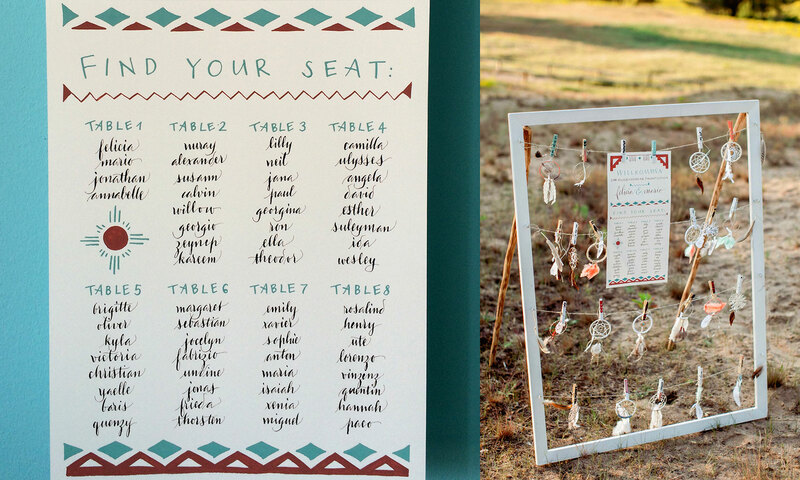 I designed this combined welcoming sign and seating chart for the Dreamcatcher Wedding. 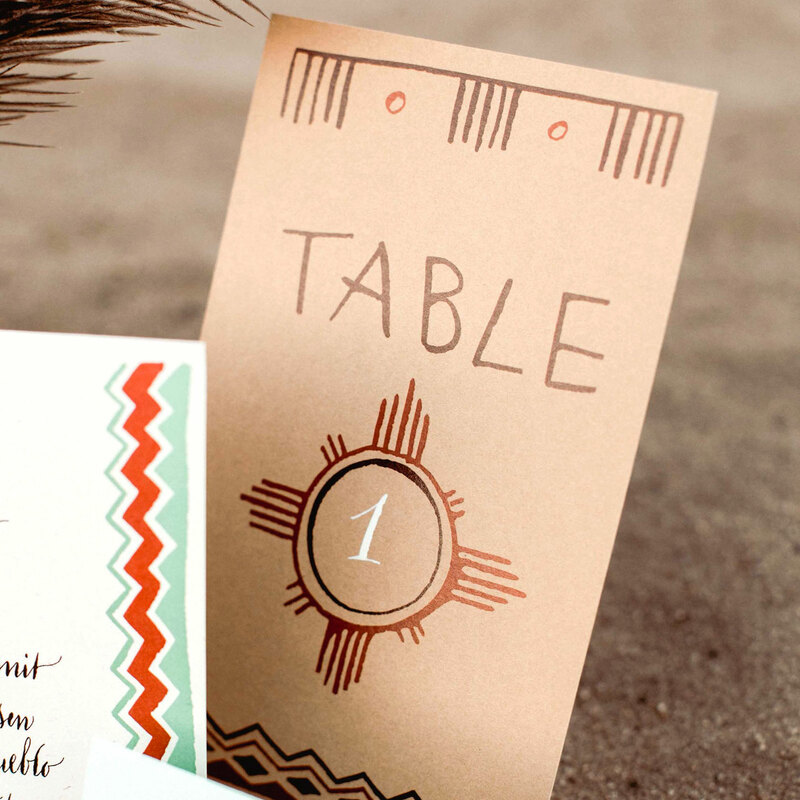 â€¦ plus the menu and placecards with leather ribbon and silver beads.